The scheme offers the poor Rs 5 lakh medical insurance per family per year, and is likely to benefit over 50 crore people. New Delhi: In his Union Budget 2018 speech, Arun Jaitley announced what is to be the largest healthcare scheme the world has seen: Ayushman Bharat. The scheme, popularly known as ‘Modicare’, is eagerly awaited by potential beneficiaries, as it will offer a Rs 5 lakh medical cover for each family, every year. In his Independence Day address, PM Narendra Modi announced that it will be launched on 25 September, the 102nd birth anniversary of RSS ideologue Deen Dayal Upadhyay. Here’s all you want to know about the scheme. The scheme’s full official name is Ayushman Bharat — National Health Protection Mission (AB-NHPM). The scheme offers 10.74 crore of the poorest families from the Socio-Economic Caste Census a medical insurance plan worth Rs 5 lakh, renewable every year. There is no bar on the number of family members eligible, or their ages. Insurance will include secondary and tertiary-level healthcare, which means specialised consultations and surgeries. ThePrint has reported that Ayushman Bharat combines the elements of healthcare schemes from around the world and tailors them to India’s needs. The CEO of the scheme, Indu Bhushan, has worked on healthcare schemes in several Asian countries, including the Philippines, China, Mongolia, Vietnam, and Thailand. In particular, what India will try to mimic is China’s IT infrastructure and Thailand’s fraud-proof designs with regard to the scheme’s implementation. 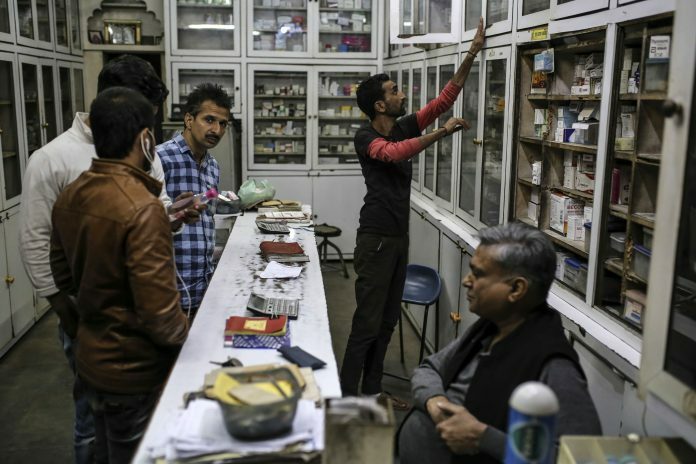 States must agree to implement the scheme through a Memorandum of Understanding (MoU), after which the National Health Agency — the apex body for the scheme’s implementation — will launch a formal process to empanel private and public hospitals. Families will be issued identity cards allowing them to avail the scheme’s services, but with a slight caveat: They must register with their Aadhaar cards. This ID number will then be recorded on a Beneficiary Identification System, and cross-checked with the SECC list and the beneficiary list of the scheme run by the previous UPA government, the Rashtriya Swasthya Bima Yojana. Who are the beneficiaries and how were they selected? The 10.74 crore families — or approximately 50 crore individuals — are to be among those in the 2011 SECC list. The conditions mentioned on the Ayushman Bharat website are that the individuals must be from “deprived rural families and occupational categories of urban workers’ families”, and would be selected on the basis of the SECC’s deprivation categories. The UPA-era scheme’s beneficiary list covers individuals below the poverty line as well as workers from the unorganised sector. However, reports of these sources being inaccurate have begun to emerge, particularly since identifying and communicating with the urban poor has been difficult. As a result, several deserving families may lose out on the scheme. Why have some states objected? Several states haven’t been enthusiastic about signing up for the scheme, mainly because they have their own state-specific schemes that provide similar benefits to citizens, as in Maharashtra and Rajasthan. Odisha, meanwhile, has outright rejected the scheme’s implementation, because it already has a health insurance scheme — the Biju Swasthya Kalyan Yojana — which has more beneficiaries than Ayushman Bharat would potentially have. Private hospitals have been reluctant to associate themselves with the scheme because of the low reimbursement rates the government is offering for consultations and surgery. Negotiations are currently underway, and there’s hope that more hospitals will soon be on board.